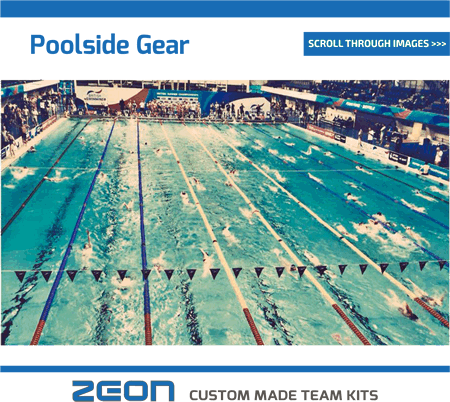 Suppliers of Custom Made Poolside Gear. 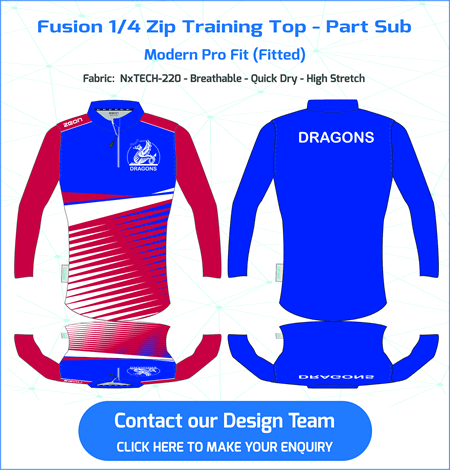 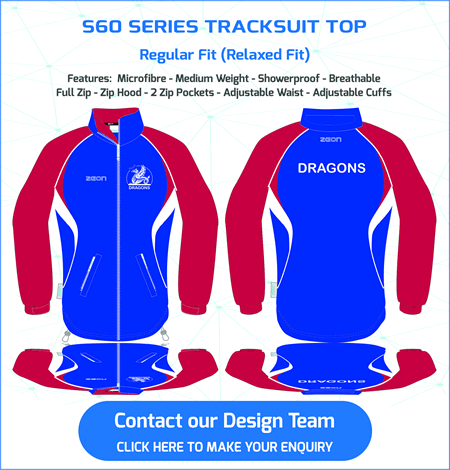 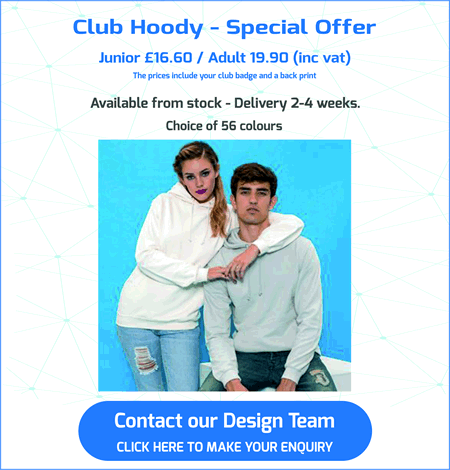 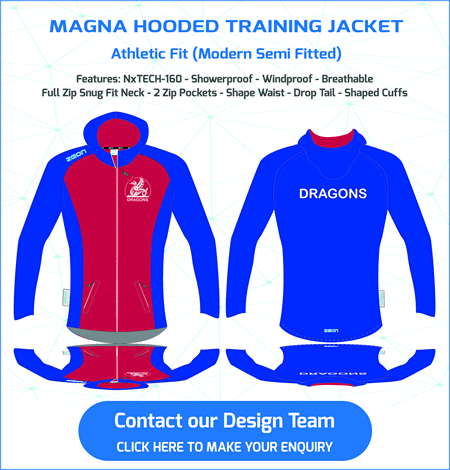 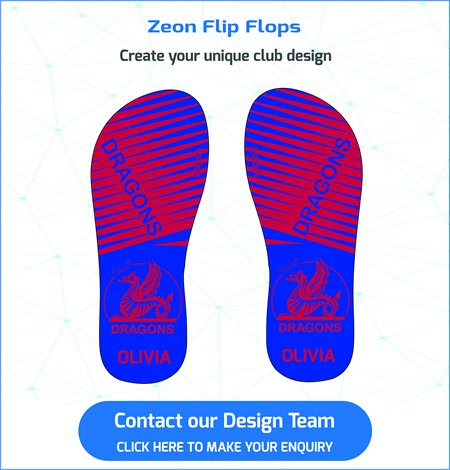 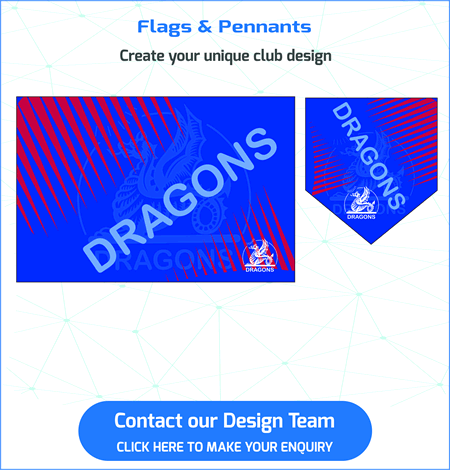 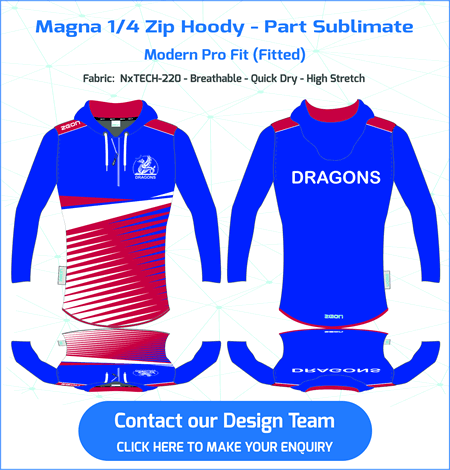 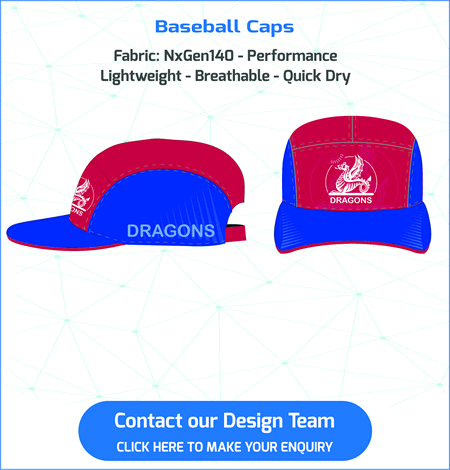 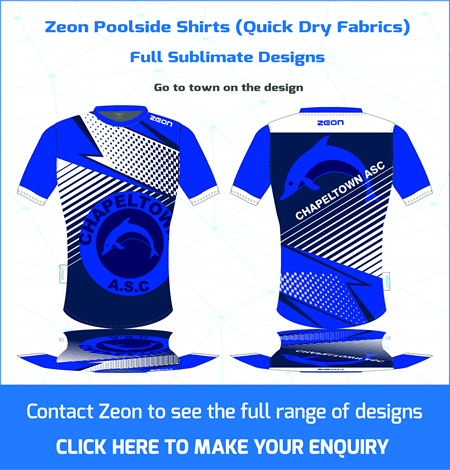 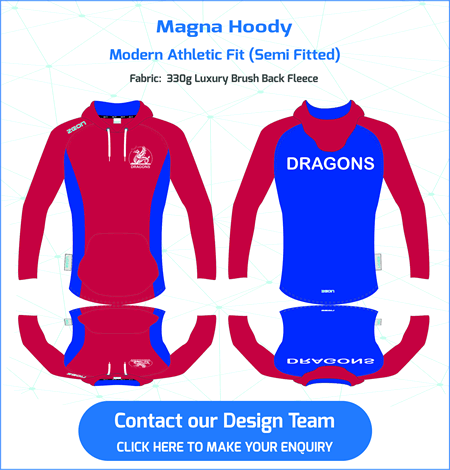 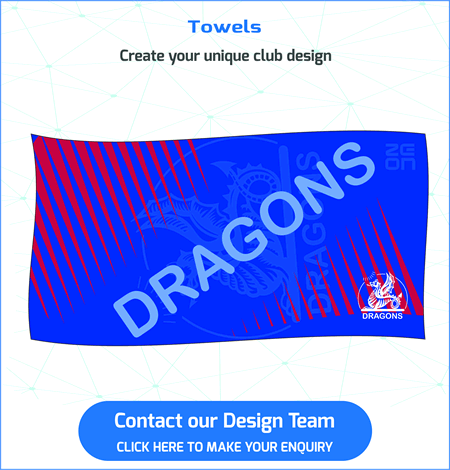 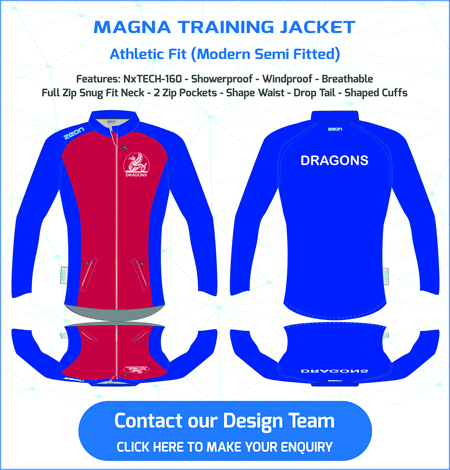 Our experienced Design Team will work with you to create your new swimming club kit. 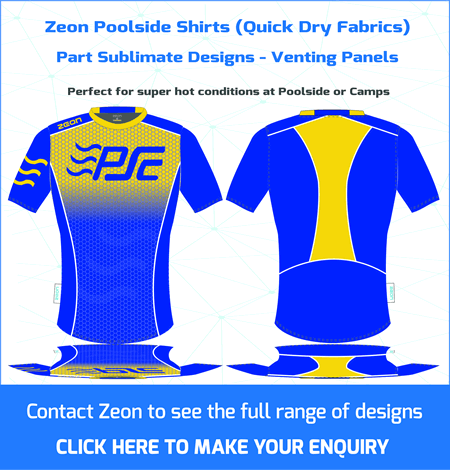 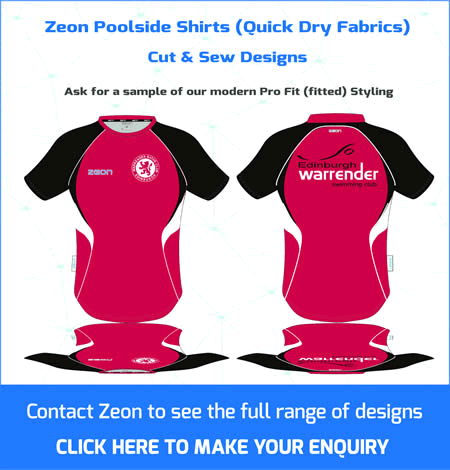 Zeon is one of the leading manufacturers of custom made poolside gear supplying over 200 swimming, diving and waterpolo clubs. 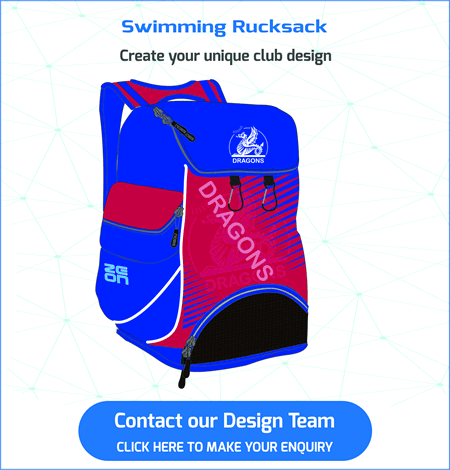 We work with our partner clubs to continually develop and update the range. 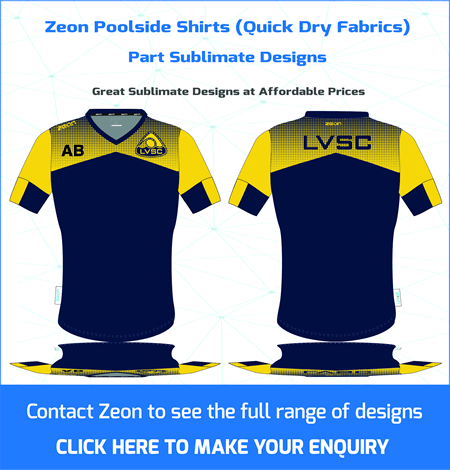 We started with Evo 365 technical poolside shirt (quick dry, moisture management & breathable fabric). 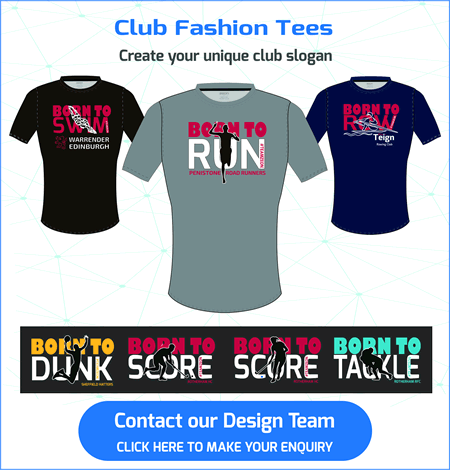 The shirt is available in 3 fits, Regular (relaxed fit), Athletic (semi fitted) and Pro Fit (fitted). 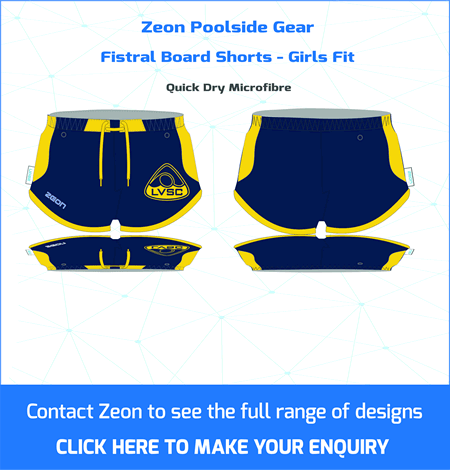 After feedback from clubs the range quickly extended to Fistral Board Shorts (in water repellent fabric) and North Bay Hoodies (in heavyweight brush fleece). 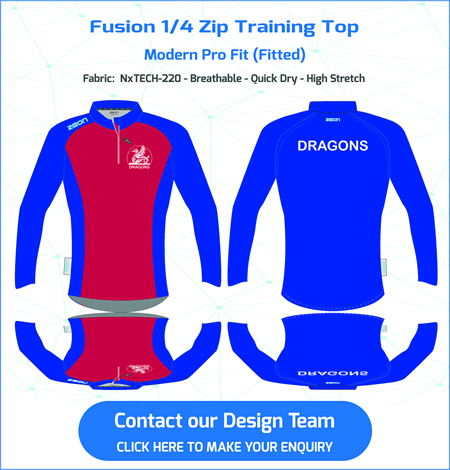 New garments include Fusion Technical Hoodies (fitted with lightweight quick dry fabric) and Leggings. 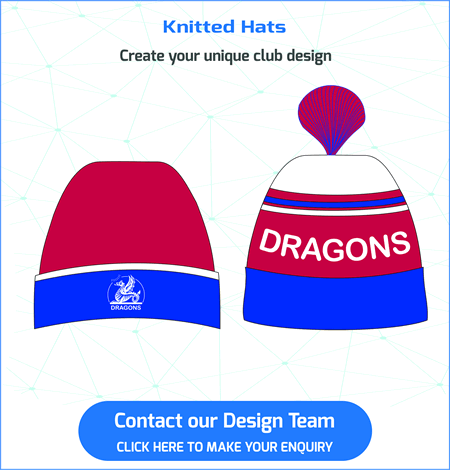 The range is completed with towels, hats and customised swimming rucksack. 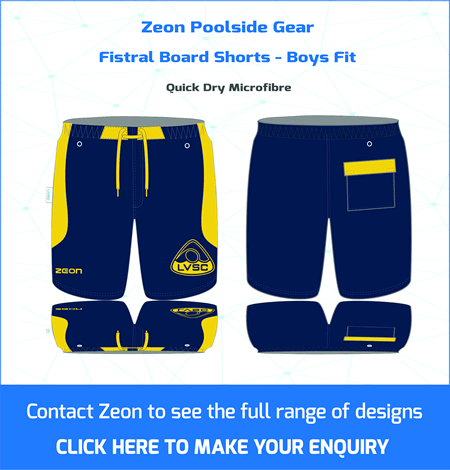 Swimwear Board Shorts to match your club kit. 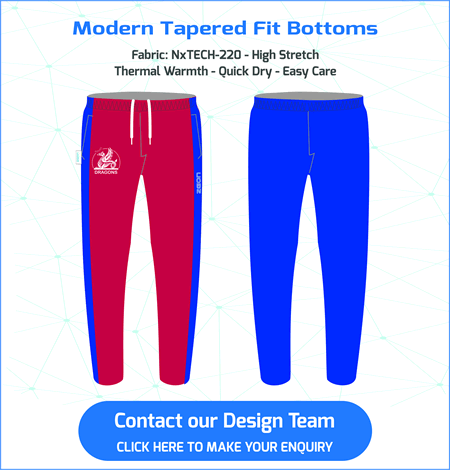 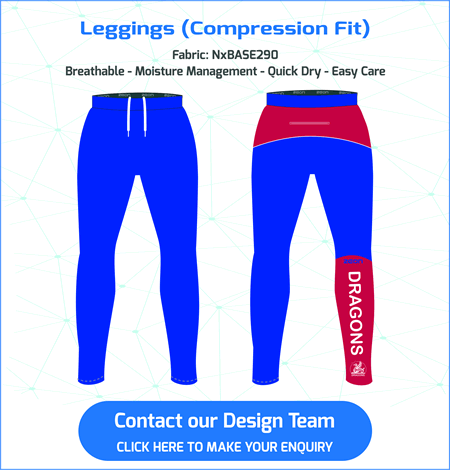 Training Bottoms to match in to your club shirts & hoodies.